With a foreword by Professor Bobby Gaspar of Great Ormond street, a pioneer in gene therapy. A roll of the dice has been described by Linen Press, as a ‘thrilling page turner as well as a haunting journey towards motherhood’. Viewpoint invites authors to write about anything they want, as long as it’s of interest to readers of Asian Books Blog. Here, Mona Dash talks about leaving her native India, to save her child’s life. Her son was born with a rare, genetically inheritable disease, SCID (severe combined immuno-deficiency). After his diagnosis, she set out for London so he could be given specialist treatment. 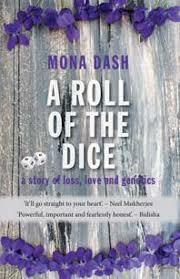 She has written about her experiences in the memoir, A Roll of the Dice: a story of loss, love and genetics. This publishes next Monday, April 22. Mona still lives in London, where she combines motherhood, and work in the technology sector with writing fiction and poetry. Her work includes the novel Untamed Heart, and two collections of poetry, Dawn-drops and A certain way. In 2016, Mona was awarded a poet of excellence award in the upper chamber of the British parliament, the House of Lords. Her work has been widely praised and anthologized. In 2018, she won a competition established to encourage and promote British Asian writers, the Asian writer short story competition, for her short story Formations. 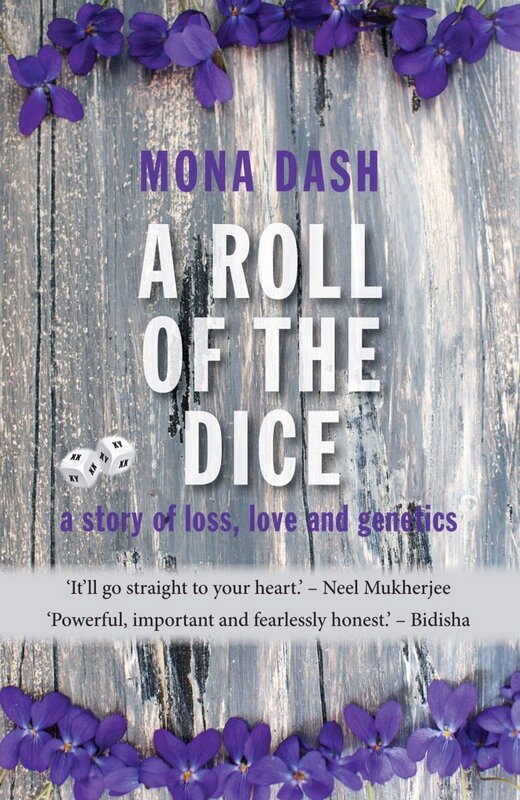 A Roll of the Dice describes the ups-and-downs, the shocks and support, the false starts and real hopes of a mother with a sick child. Mona humanizes the complexities of genetic medicine, and writes her story of genetic roulette without self-pity. Her memoir contains valuable information for couples facing infertility and complicated pregnancies, for parents of premature babies and of children with SCID. My baby boy was born several years ago in Kolkata, India. He was perfect; healthy, feeding well, big for his age, and even slept all through the night. As a young, career-oriented woman, fresh out of university and armed with an MBA, my worries were simple and pragmatic: how could I get back to my busy job which involved travelling across the globe? How could I regain my pre-pregnancy weight? How could I get the best possible childcare for my baby? Like most women, these were the practical challenges I expected to face and all I was really prepared for. At four-and-a-half months of age, my son started becoming unwell with a high fever and an unexplained rash all over his little body. As young parents, we were not prepared for something like this. Indeed, who is? After repeated visits to our paediatrician who was clueless, we visited a string of doctors, each one more highly paid than the other, each one with longer waiting lists and a greater reputation. We ran from pillar to post, desperate to find out what could be wrong. After two whole months of playing tag with doctors, we decided to leave Kolkata and go to a specialist hospital in South India in search of a diagnosis. I watch from the window. so the rain awakens nothing, hidden. There’s even a hint of hailstones in today’s rain. form clouds that spray down at will, lustily. An almost tropical thunder today. You need to have it in your belly. Delighted to share the first excerpt reprinted from A Roll of the Dice - one month to publication day ! "So I’d learnt to inject myself in the stomach every day. Keep your hand steady, place the needle against the skin of your stomach..."
What is A Roll of the Dice about ? Here are some videos where I talk about the medical and the personal aspects of this story. Updated website - have a browse and read ! The Whole Kahani featured on LiveMint India with our anthology May we borrow your country. @Susmitatweets Voted for you now @Susmitatweets and @farhanashaikh for you !